It even Photoshops like real beer! Before I start, I have to say this might not be so much a case of 'weird' as it is 'flat out genius'. In the movie Ghost Rider, movie execs committed a cardinal sin by turning Johnny Blaze into a Jelly Bean loving biker. If, like me you thought the only beans a stunt devil like Blaze should wolf down are chilli beans or ones soaked in Jack Daniels (it is a Dan's world after all), then one company seems to have heard us. 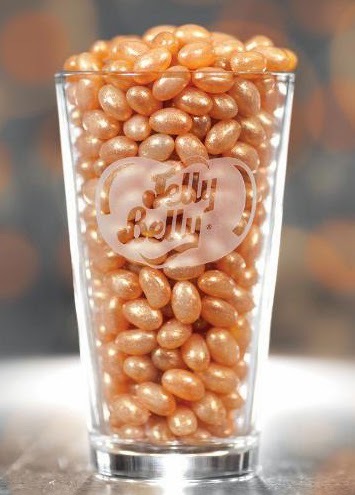 Jelly Belly is bringing a draft beer flavoured candy to the marketplace, which not only means it's now cheaper than ever to shout a round, the "highly-requested" flavour gives off a sweet wheat aroma to add to the illusion. Jelly Belly have previously created flavours such as Mai Tai, Blackberry Brandy, Strawberry, Daiquiri, Pina Colada, Margarita, and Mojito, so it's about time they got their hops on and made this one. Just don't try buying a bag and cracking open each bean to pour yourself a decent pint or handle, no real beer was harmed or used in the making of this confectionery. Which means no point practising saying 'I've only had one officer' either. well I think Dale now has a reason to visit California. Vacaville which is an hour from me has this major Jelly Belly manufacturing plant/HQ that's quite the tourist draw. We have beer flavoured crisps here on England so these would go down a treat! With beer flavoured beans it will be even more so now Dave - we have a beer factory here where you can drive up to the tap on the wall and pull yourself a free pint, but even that doesn't get the tourists you'd think. It is way out in the country but still, tis a free drop! Beer flavoured chips Karl! Wow, I'm surprised that hasn't made its way down here to Kiwi Land yet.. maybe next week.